Its mid-August in New Hampshire and many families will spend the last few weeks of summer by the pool. With the school year rapidly approaching, parents and children alike try to maximize outdoor recreation with friends and family. But please remember, swimming pool accidents can happen in the blink of an eye and can have tragic consequences. Medical reports show that a submerged child can lose consciousness within just two minutes, and permanent brain injury can occur within four to six minutes. 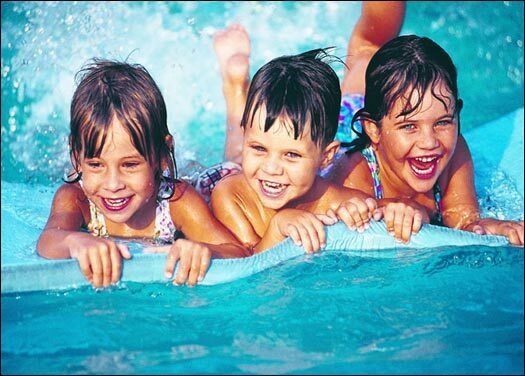 According to a report by the Consumer Product Safety Commission (CPSC), in 2012 nearly 140 children in the U.S. died in swimming pool accidents between Memorial Day and Labor Day. And, approximately another 200 children suffered near-fatal incidents in pools or spas. All the children were under the age of 16. Adult Supervision. Never leave a child unattended in or near the water. And, set the cell phone or ipad down and supervise the activities. 20 Minute Timeouts. Take a break every 20 minutes or so and either have the children exit the pool or let another adult takeover. Swim with your Child. Having fun in the pool with the kids is great fun, and a hands-on approach to keeping them safe. And, swimming with your child allows you to better observe their strengths or weaknesses in the pool. Swim with a Buddy. Make sure your child knows they are not allowed in the pool without someone else present. Lifejackets and Floats. Flotation tubes and rafts are not intended to support your children. To give your child extra protection, explore the U.S. Coast Guard website for information on personal flotation devices. Explain the Safety Rules. No running at pool side. No swimming with gum. Explain these and other safety rules of the pool to your child. Make certain they understand safety first. The NH Injury lawyers at Tenn And Tenn, P.A. wish everyone a safe and happy summer!